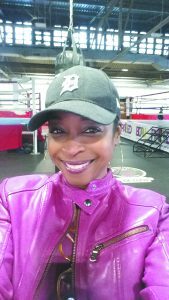 More than four years ago, Jessica Hauser, 35, of Birmingham didn’t even have a title at the Downtown Boxing Gym (DBG). 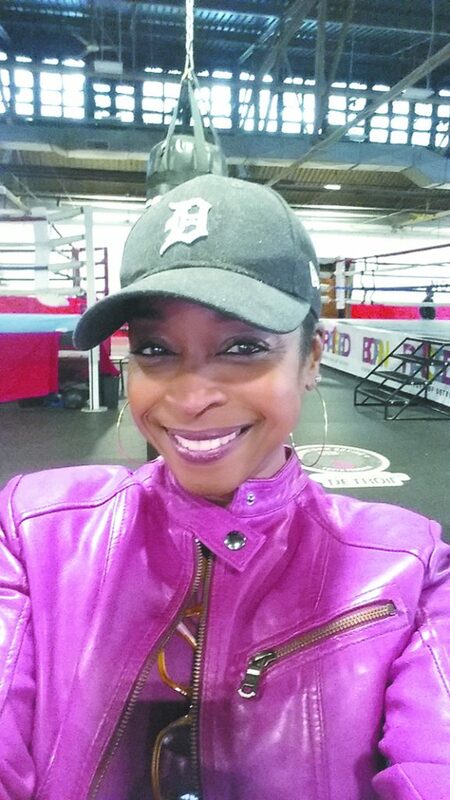 She was simply helping a coach and his little-known Detroit nonprofit with a big dream that included 64 elementary and high school students, most from lower-economic households. 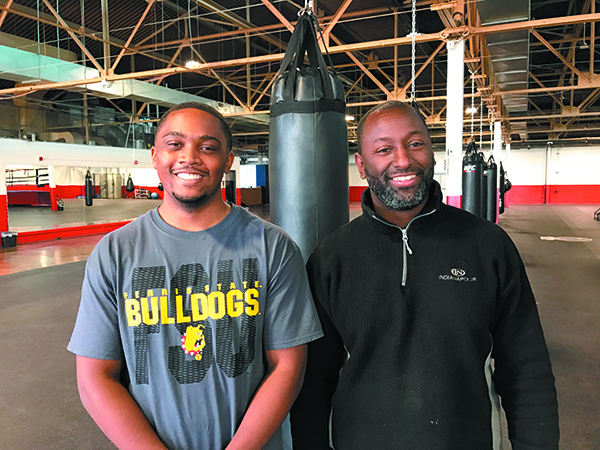 The founder of the program, Coach Carlo “Khali” Sweeney, 47, of Detroit believed in each of his students, many forgotten by society, and created a program that had astounding results. 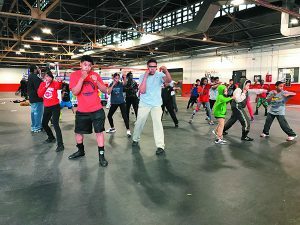 In a community that graduated 21 percent of its high school students, 100 percent of his students graduated and, since the inception of the program in 2007, 98 percent went on to college. Surrounded by industrial and abandoned land, the 4,000-square-foot gym was housed in a former car wash. The coach squeezed his kids in afterschool to work out and study. Everyone knew his priorities: books before boxing. As Jessica spread the gym’s story, people around the city and the country wanted to know more. Chelsea Clinton flew out twice to feature the gym on Brian Williams’ nightly news show, Making A Difference; Madonna provided funding to help secure the gym’s new building. Rachael Ray donated $50,000 toward a new kitchen where the students learn about nutrition and cooking, and where a parent prepares hot meals daily. The coach’s dream of a larger, safer space became a reality in early 2015. Everything, however, was not perfect once the students moved into the 27,000-square-foot facility. While the Kresge Foundation and donations had helped bring the building up to code, the roof leaked and pipes burst this winter, destroying computers, desks and books. The plumbing and electrical systems are outdated and the gym needs an energy-efficient plan. As important, the coach wants to build additional classrooms to add more students. In response, this month Jessica started a $2.3 million “Why Wouldn’t We” fundraising project with a $100,000 matching grant from an anonymous donor. As dramatic as the transformation of the new gym, improvements to the educational program have been most significant, especially considering where many students come from. 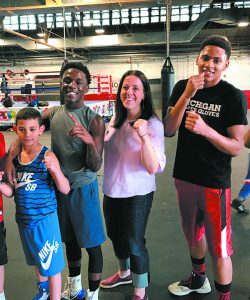 The gym raised $20,000 to hire an independent organization, Beyond Basics, to test the students’ reading skills and then work with them every week until they improved. The results were startling. The students’ grade points went up two to three grade levels. The gym did another testing for math competency and their skills in math improved 227 percent. 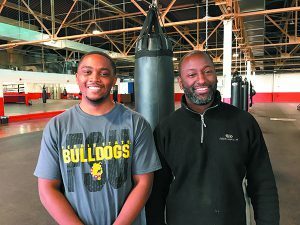 The gym now pays Wayne State University’s Math Corp $7,000 a semester to continue working with their students, “to get them caught up,” Jessica says, “and able to be competitive in the work force.” With these extra classes, she reported, 91 percent of students are more confident they will graduate high school. In the beginning, Jessica was so impressed by what Khali was doing with his students that she dropped her plans to go to graduate school to help kids in other countries because she recognized there were children to support only miles from home. 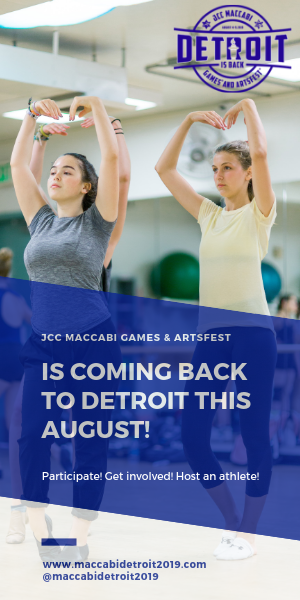 She corralled people she knew in the Jewish community like attorney David Moss, 58, of Birmingham, whom she shadowed when considering law, to become a member of the gym’s fledgling board and help her network and raise funds. “I’m not the only crazy person who walked into this gym and never left!” says Jessica, who eventually raised the $500,000 to purchase and bring up to code the new gym on East Vernor. He pushes to include as many students as possible, needing more teachers and rooms to study in, hoping to reach another 265 youth in three to five years. His students’ successes help people understand why he and others give so much of their time and money to the program. He says he was looking for something to do and didn’t have an afterschool program. Luckily, a friend invited him to check out the gym. Lionel grew up without a father and credits his mother and the Downtown Boxing Gym program with saving him from becoming one of the dire statistics for a majority of adult men in his Detroit neighborhood who wind up dead or in prison. Khali spent 10 years working in construction saving money to start his free 10-year-old program. From the same community, one of the poorest in the country, where he located his gym, Khali had his own troubled past and, saved by boxing, wanted to help others like him. While several DBG students have won world and national championships, Khali always had a bigger dream for them. 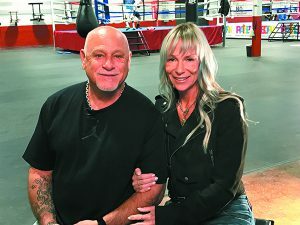 He wanted his students to translate the discipline and abilities they discovered in their boxing training and turn that into mastering an education, to become productive members of society. Charisma Parker, 19, liked school when she first came to the gym. But she had a difficult home life, moving from parents to grandparents to friends, even being homeless. Through the upheavals, Charisma stuck to her schoolwork at the gym. When her school didn’t offer a class on taking the ACT college entrance exam, the gym provided a tutor. Though a good student, she did poorly on the exam and was devastated. Jessica counseled her to write a letter to the school and describe her situation. She did, and Charisma was accepted into the honors program at Alabama A & M University. By her second semester, she had a 3.6 grade point average. 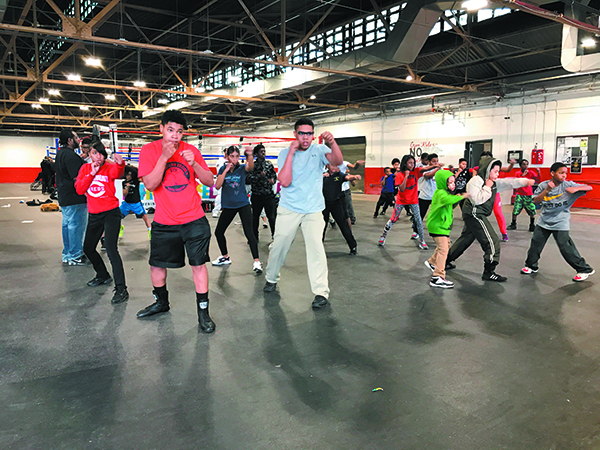 The coach echoes her beliefs, which is why the gym boasts 35 enrichment programs, creating that pipeline, from classes in health and wellness to career readiness and a senior high school camping trip to Colorado. For many, this includes first-time experiences on an airplane and away from the city. The kids fundraise for their airfare, Jessica says, and a supporter covers the other expenses. “If you’re told your whole life, This isn’t for us [African Americans],’” Khali says, “you mentally limit your life. A majority of our kids won’t stand on a paddle board in the middle of water,” but they did when invited to participate in a program on Belle Isle. “We don’t have local swimming pools and most recreations centers are closed,” he says. But the camping trip changes that attitude and it’s about more than having fun. “Maybe you’ll see a new species of butterfly and want to become a biologist or a geologist after climbing and learning about rock formations,” he says. There’s one other component of the gym’s programs: giving back. All students participate in community project, from working at homeless shelters to cleaning up neighborhoods and playing baseball with students on the Miracle League, a team in Plymouth for children with special needs. As proud as Jessica is about the program, she is awed by the support they have received. 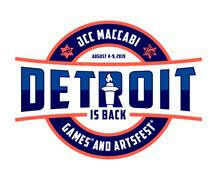 No other gym that has tried to replicate Khali’s program has succeeded like DBG thanks to Metro Detroit supporters. “I’m humbled by the number of people who give their time and resources here,” she says. 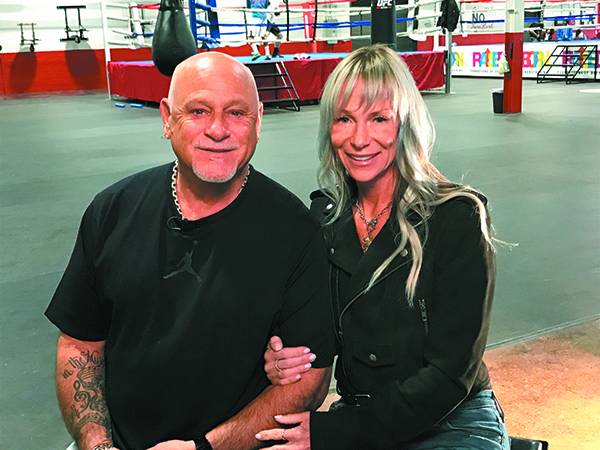 People get involved, like costume designer, filmmaker and producer Couni Young, 51, of Commerce Township did after taking Jessica’s tour of the new gym. Young, a Temple Israel member with her family, told Jessica she would work on the music room, the library and the sewing room. “I have so many giving people in my life who can help,” she said. One couple she called was Julie and Jeff Bass of Bloomfield Hills. He is the Oscar and Emmy award-winning music producer from Detroit, who helped launch Eminem’s career. When Young asked how to sound proof the music room, the Basses came down to check it out. “We were overwhelmed,” says Julie, a film/music producer, after touring the gym and meeting the students. They were so impressed by the students’ talent and achievements they offered to build the gym a recording studio. Jeff said he would teach the students how to use the equipment. Until Jessica walked into the gym, Khali never saw the type of support the Jewish community lends to one another, he says. It’s been inspirational to him and he wants to replicate that sense of family with his students even after they graduate. Whether it was Young contacting the Basses, members of Temple Shir Shalom, or a supporter calling Todd Sachse, CEO of Sachse Construction and a Jewish community leader, to help with the new building, people came through, Jessica says, even though the gym is small and not well-known. Sachse now is on the board. While Jessica rarely stops to see what she has achieved, the coach is amazed by her achievements. “She’s my motivation,” Khali says, and her efforts are also not lost on the students. As for his hometown family, Lionel sent tickets to Jessica and Khali for his college graduation. All are proud. But Lionel’s achievements are not lost on fellow students back at the gym. 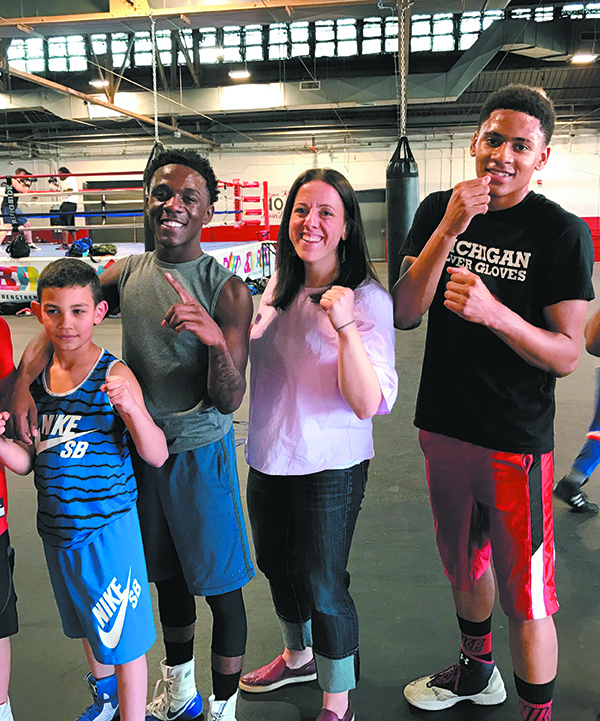 Like younger siblings, they get to see a member of their Downtown Boxing Gym family elude the odds as Lionel takes the next step toward his hard-fought place in society. This is good but it would be even nicer if Jews would help other Jews more than getting too much involved in the inner city.